A facelift (or rhytidectomy) is an operative procedure that treats skin and soft tissue laxity of the face. It typically addresses the sagging along the jaw line (jowls) and the deeper folds of the cheek (nasolabial folds) and around the mouth (marionette lines). The goal of a facelift is to essentially lift the entire cheek and to restore volume to the midface. 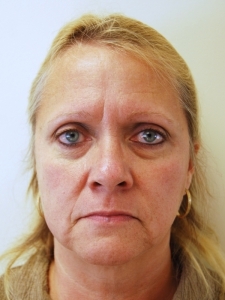 Who Is a Candidate for Facelift Surgery? The ideal candidate is a healthy woman or man who has some of the features of facial aging described above. Any medical conditions such as hypertension and diabetes should be well controlled. Candidates must be non-smokers or cease smoking well before surgery. Our plastic surgeon cautions all smokers about proceeding with any cosmetic procedures, especially facelifts, due to the wound healing problems that result as a sequela of smoking. Smoking increases your risk of incision and skin breakdown, with subsequent scarring. Due to this risk, our surgeon insists that any smoker stop smoking at least 6 weeks prior to and after surgery, in order to minimize the risk of postoperative complication and to maximize a great result. You also must be in good overall health to undergo a facelift. Dr. Zemmel will likely have you seen by your primary care physicians for routine blood work and possibly a cardiologist to make sure you are fit for surgery. What Is the Best Age for Facelift Surgery? As our understanding of facial aging progresses, some of the more subtle changes in facial aging can be addressed at an earlier age. Historically, American patients waited until their 50’s or 60’s before undergoing a facelift. 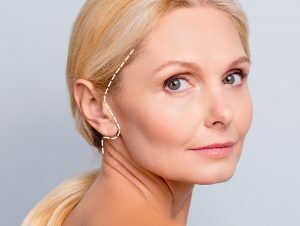 However, many patients are starting to follow the lead of European patients: they are seeking correction of age-related changes at an earlier age using less invasive techniques with shorter recovery times to recapture a more youthful appearance with less disruption of their lifestyles. To that end, the MACS-lift is a excellent approach for the younger patient. 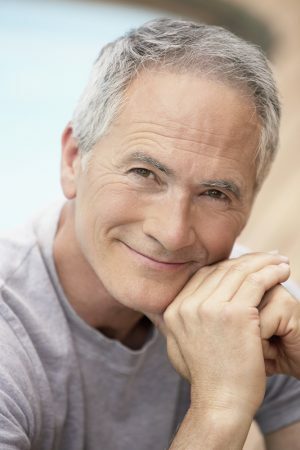 It addresses age related changes through a short-scar facelift technique with minimal recovery. What Does a Facelift Accomplish? Each patient is seen as unique person, with unique goals, and anatomy. The design of a facelift operation is determined by the specific needs of each individual patient. Our plastic surgeon will design the operation with your unique facial structure and aesthetics goals in mind. He does not use a “one size” fits all approach. Frequently, the facelift is combined with a neck lift, brow lift, or eyelid surgery (blepharoplasty) to address age-related changes to the neck, eyelids, and forehead areas. What Is the MACS Facelift? The MACS lift has evolved from nearly a century’s worth of various facelifting procedures. The MACS-lift is the latest technique and represents a long evolution in facial rejuvenation science. The MACS lift addresses age-related facial changes, based on modern concepts of facial aging. More traditional facelifting techniques are more destructive in nature. They tend to give a more windswept appearance and actually can result in flattening of the face. The MACS lift tends to restore the face in a more vertical, natural direction. Rather than relying on skin excision, the MACS lift restores volumes of the subcutaneous tissues to achieve more youthful contours of the face. One can get a fairly good estimation of results by placing two fingers along the cheeks directly in front of the ears and pushing up toward the top of the head. Alternatively, one can lay flat or at a slight decline and look at their reflection in a hand mirror to get an idea of realistic results. The MACS lift repositions facial subcutaneous tissues by using a series of precisely placed sutures that are woven through the SMAS layer. These sutures gather the underlying tissues which then adhere to each other permanently. Other facelifting procedures, which are the subjects of popular advertising, involve placing cable sutures in the surface layers of the skin. However, these thread or cable lifts do not achieve the same results as the deep layers are not addressed and volume is not restored to the midface. The MACS-lift requires placement suspension sutures deep within the SMAS layer and acts like a lasso that gathers its contents; the thread- type lifts serve more like a clothesline that suspend its contents. One of the primary advantages of the MACS-lift is its safety as compared to other facelifting techniques. The prime ethical responsibility of Dr. Zemmel is to provide his patients with the safest and most reliable surgical results available. Dr. Zemmel offers all of his patients surgical procedures that maximize results without compromising safety. The MACS-lift is a technique that offers patients long lasting results with minimal incisions, swifter recovery, and a low risk of complication. The procedure can be tailored to patients with more advanced age-related changes or to younger patients who are seeking correction of more subtle changes and desire a less aggressive approach. At your initial consult for a facelift, our plastic surgeon will meet with you to evaluate your concerns and desired outcomes. You will undergo a detailed examination of your facial anatomy and the age-related changes that you are most concerned with. Based on this assessment, your surgeon will develop a comprehensive surgical plan that will address each of your concerns. To assist in explaining the surgical plan, you will undergo a state-of-the-art 3D photographic analysis that can give also give you an idea of what you can expect following surgery. At Richmond Aesthetic Surgery, the Vectra® 3D surgical simulator is used to highlight your areas of concern and to show a computer generated animation of your final results. Learn more about Vectra® 3D Imaging. In addition to evaluating your specific concerns, your surgeon will also perform an assessment of your overall health to identify underlying medical conditions that may affect your results, such as uncontrolled hypertension or diabetes, smoking, and a history of scarring following previous surgery. Based on your history, you may be asked to see your primary care physician prior for a preoperative assessment. Please inform the RAS team of any difficulties you may have had with prior surgeries, of all current medications you may take, including supplements, and whether you are actively smoking. If you are an active smoker, you will be asked to stop smoking for at least 6 weeks prior to surgery and to cease smoking for 6 weeks after surgery. Smoking cessation will minimize your risk of potential complications in wound healing and maximize the likelihood of a fantastic result. Within a week or two of surgery, you will meet with your surgeon again to review the operative plan and goals. This is a great time to ask any questions, and feel free to write down any and all questions after your initial visit to ensure they are all answered prior to surgery. Prior to the day of surgery, the Richmond Aesthetic Surgery team will provide you with instructions for the day of surgery, postoperative instructions, and any prescriptions you may need following surgery when you get home. What Can I Expect on the Day of Facelift Surgery? On the day of surgery, you will meet with your surgeon and undergo pre-surgical markings that assist in providing the “roadmap” for your surgical journey. You will meet a Board Certified Anesthesiologist and Nurse Anesthetist who will provide your anesthesia. Please inform the Anesthesia team of any particular difficulties you may have had with prior surgeries, especially anesthesia-related nausea. Our surgeon prefers doing facelifts under general anesthesia to ensure that you are pain-free and still during a facelift due to the meticulous and precise nature of the procedure. You will meet our experienced intraoperative nursing staff who will care for you during surgery. A facelift usually takes approximately 2 1/2 to 3 hours; however, surgical times may be longer if additional procedures are performed. After surgery, you will be taken to the recovery room for immediate postoperative care. Depending on the length of your procedure, your surgeon may admit you to the hospital overnight to provide you with round-the-clock nursing care that can address any pain or nausea that you may develop. How Is the Facelift Procedure Performed? The surgical goals are achieved through a series of inconspicuous incisions along the ear that extend along the hairline of the temple. In this way, the incision remains well concealed without changing the shape of the hairline. Occasionally the incision will be extended behind the ear and into the hair-bearing scalp behind the ear. The type and length of the incision is dependent on the degree of anticipated skin removal as well as whether additional correction of the neck is necessary. Once the planned incisions are made, the skin is elevated from its normal position, revealing the underlying SMAS (deeper) layer. At that point, the underlying SMAS tissue can be repositioned to a more anatomic position through a variety of techniques. After years of experience and review of all of the available techniques, Dr. Zemmel repositions the SMAS layer using the MACS-lift. He has found this to be a safe, effective, and reliable means of repositioning SMAS tissue to a more youthful position with long lasting results. How Long Is the Facelift Recovery? Shortly after surgery, you can expect mild incisional and facial pain that responds well to the oral pain medications that your surgeon will provide to you. In most cases, soft surgical drains will be placed under the skin incisions to collect any drainage that accumulates immediately following surgery. These drains are usually removed within 24-48 hours of surgery. You can expect to have a soft, fluffy dressing that covers the incisions and face that will be removed with the drain. 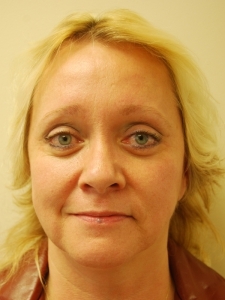 Moderate facial swelling and bruising is common after facelift surgery. The initial swelling and bruising may take around 2 weeks to mostly resolve. Sutures along the incisions adjacent to your ear are usually removed after one week of surgery. At that point, you may be fitted for a mild postoperative facial garment that helps decrease swelling and provide some support of the cheeks and neck. One of the most important things you can do to minimize swelling is keeping your head elevated as much as possible for the first 2 weeks following surgery. Dr. Zemmel recommends patients giving themselves 1-2 weeks to rest and recover after a facelift, prior to returning to work or more normal activity levels. Prior to surgery, the RAS team will provide you with more specific instructions concerning postoperative activity restrictions. Shortly after surgery, you may also notice some skin numbness along and adjacent to the incisions. These sensations usually resolve within 3 months of surgery. After the first two or three weeks, you will notice resolution of postoperative swelling and bruising. In some cases, residual swelling persists as long as 3 months. You may notice some redness along the incisions that becomes a bit more noticeable after a few weeks. However, over time this redness will resolve, and the incisions will become almost imperceptible. As the initial postoperative changes resolve, you will notice the emergence of the “new you”. You and those close to you will notice a significant change in your appearance. People you may not have seen in a while may ask whether you’ve been on vacation or whether you’ve lost weight. The goal of Dr. Zemmel and the entire Richmond Aesthetic Surgery team is to provide you with a natural, fresher, and more youthful appearance with a safe, reliable facial plastic surgery. My experience was awesome from day one. Dr. Zemmel was very patient and answered all questions in a detailed and understandable way on both of my first appointments. Surgery and recovery both went very smooth. Now 3 months later I am in love with my new self thanks to Dr. Zemmel. What Complications Can Occur from Facelift Surgery? Despite the best planning and execution, complications can arise from any cosmetic surgical procedure. Fortunately, the risks of complications are rare in facelift surgery performed by a qualified and board certified plastic surgeon. The most common complications are bleeding and infection which occur in less than 2% of patients. Occasionally, delayed bleeding occurs that results in development of a blood collection (a hematoma) under the surgical incisions. In these cases, a return to surgery may be required to evacuate the hematoma. Wound healing complications such as delayed incisional healing or scar widening are rare in most patients, but do occur more frequently in smokers. For this reason, our surgeon insists that all smokers stop smoking for at least 6 weeks prior to and following surgery. Some patients may experience some temporary weakness in underlying facial muscles, which usually resolves in 3-6 weeks. Although there is risk of permanent injury to the nerves, which control facial movement, the risk is very low and is minimized further with a MACS-lift. 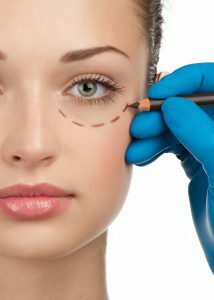 How Much Does Facelift Surgery Cost? Facelift surgery typically costs between $7,500 and $15,000 in the Richmond, Virginia area. This range may vary based on the surgeon’s expertise and their fees, as well as if the procedure is performed in a different geographic region. When you meet with Dr. Zemmel for your consultation, he will listen to your concerns and establish the specifics of your facelift procedure. This includes beginning the planning process for which surgical technique is most appropriate for helping achieve your desired outcome and determining how complex your operation may be—both of which are variables in the total cost of your facelift. At the conclusion of your consultation, our staff will go over the fees involved in your facelift surgery, including anesthesia and surgical facility costs. If you have any questions about the amount quoted to you, we can go over the fees to ensure you are informed about your procedure and understand its final cost. Should you be interested in plastic surgery financing options, our team works with companies like CareCredit® and Prosper™ Healthcare Lending, which offer monthly payment plans with little to no interest. To learn more about facelift surgery and facial rejuvenation procedures, please visit our sister site dedicated to facelift surgery.